With just over three weeks to Christmas, it can be pretty stressful to find gifts for her. So we thought we'd help by taking some of the stress out of the festive season. Below are a few ideas for your special trendy, eco-friendly lady. I personally love this clutch bag! The clutch is made of recycled skateboards, and lined with satin. 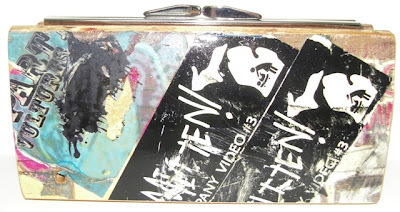 Every bag is unique and often has its original stickers and scratches, adding to its character. You can find the collection at Eco-Handbags. 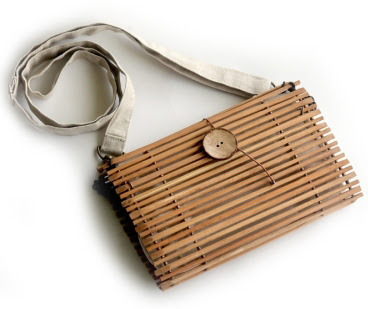 Another favourite from Eco-Handbags is this bag made of discarded bamboo chopsticks! However, not to worry, as each chopstick is sanitised before it is reclaimed and turned into these great bags. The lining and strap are made of hemp. 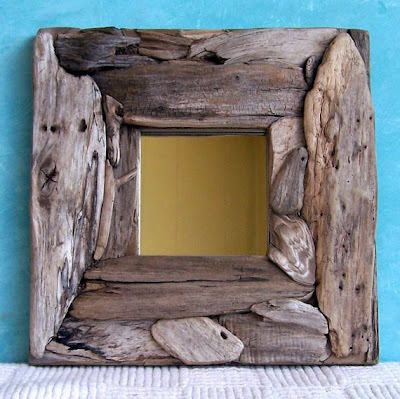 The below mirror is embellished with dry driftwood and are handmade. Black Eyed Susan, also creates beautiful photo frames. The below bar soaps would make great stocking fillers, as well as an additional gift for the lucky woman. Skinny Skinny use recycled, reclaimed and sustainable materials in their packaging, as well as certified, organic ingredients in their products. Visit Green Cheeks for eco-friendly lingerie. Their products are made of silk, hemp, organic cotton and/or vintage fabrics, and are dyed with natural or low-impact dyes. The below camisole was made using 100% organic cotton. Aveda was one of the first brands to produce eco-friendly perfumes. The company manufactures their products using organic ingredients and 100% certified wind power. 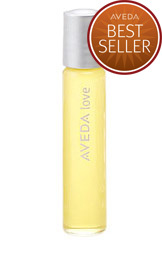 Aveda Love Pure-fume, as below, mainly consists of sandalwood, jasmine, rose and ylang ylang.